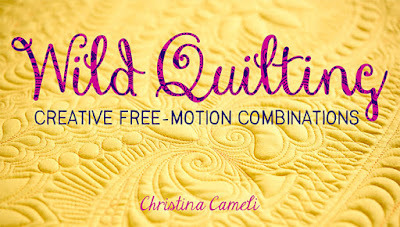 I learned to free motion quilt at the very beginning of my quilting journey, seven or so years ago. I had completed three quilt tops but didn't know where to go from there. I had seen lovely long arm quilting on some of my grandma's quilts and by comparison straight lines with a walking foot just didn't seem right. 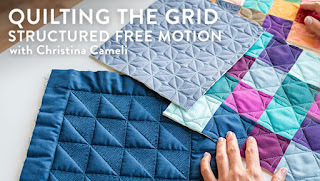 I happened upon a free motion quilting class to be held at the Northwest Quilt Expo and scraped together the money to attend. I brought my clunky cheapo sewing machine. It sounded so loud compared to the nicely tuned machines the other ladies brought! I felt very self conscious. I felt like an outsider. For two mornings a woman named Kathy Sandbach taught our small group of quilters to free motion quilt. Kathy was very energetic and supportive. She acted as though we could do it, and I believed her. She treated me the same as all the other, more experienced attendees and I stopped feeling so self conscious. Kathy was a professional quilter, and quilted all her quilts on a domestic machine, not a longarm, which was very reassuring. I will always be grateful that I was in the right place at the right time to learn from her. 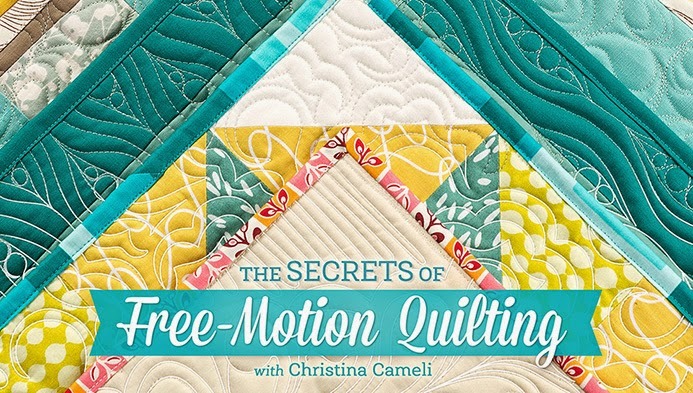 I'm glad I didn't have time to doubt myself or think that free motion quilting was only for experienced quilters with longarm machines. There is a fearlessness to the "beginner mind". The belief that all things are possible is very powerful. I jumped right in. “The thing is to become a master and in your old age acquire the courage to do what children did when they knew nothing"
When I have taught friends to quilt, I've given them a quick hands on lesson and left them with Kathy's book. They have all done marvelously and I think that has more to do with her than me. 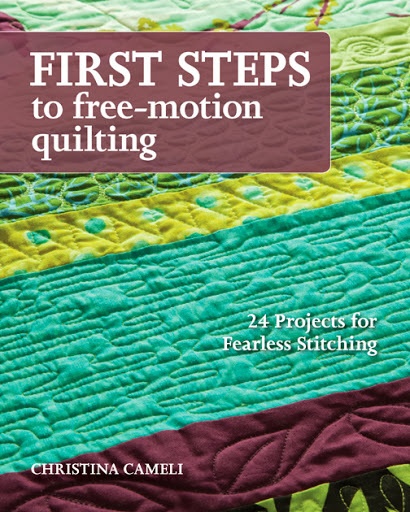 When I decided to offer the free motion quilt along I went to look Kathy up, and see whether she would mind if I used some of the same exercises she did to teach the basics. I was feeling a little sheepish. What business do I have teaching anyone to quilt? Then I found her website, and on it, a letter from her children dated last year, explaining that Kathy had been diagnosed with a rare type of dementia, and that she is now in long term care. She is no longer quilting. She is no longer teaching. The impact of this news on me was profound. Who can explain such a cascade of emotions? It stung to imagine this vibrant, confident woman toppled from within, and so much younger than anyone could expect. It emphasized my own physical vulnerability as well. And in a moment I went from feeling like an interloper, to feeling that I had a tremendous gift that must be shared. 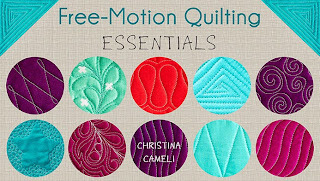 Much of what I have to share about free motion quilting I learned from Kathy. She taught me these things, and I would like to pass them on, so they do not die, but instead continue on through the world. So they can grow, and change, and bring joy. If you are learning free motion quilting from me, I hope you will consider Kathy to be your "grandma" quilter. Kathy would tell you "you can do it!" and you can. Thank you so much for sharing. I am so inspired and touched by your experience and your wonderful decision to share your knowledge with people like me. Christina, I cannot thank you enough for sharing this. And I do believe that what you are doing is part of a quilter's legacy... to pass on knowledge and share freely with others. Thank you also for pointing out Kathy's books. I will be purchasing at least one of them. Wow........our creative time is such a gift ! I realized this when my husband went from making his hand-carved spoons to sitting and watching television, all because of strokes which strike out of the blue. He points out to me all the time....."I was just like anyone else, I could do anything I wanted, and now......"
Thank you for continuing in the gift that she shared. What a lovely post in honor of Kathy! I do need courage and I think I will find it through this quilt along. I like the way it has started already. THanks for sharing yours and Kathy's enthusiasm and love of quilting. I'm excited too, because I just discovered I have Kathy's book. Thank you for passing on what you've learned to those of use who would like to learn it! You are right, you do have a gift that should be shared and I am so glad that you are doing so! Thank you for being our positive beacon of light passing on the "yes you can" attitude! I will have to seek out Kathy's book. I have struggled with hand stitching my tops (it takes so long and I am impatient) to struggling with horrible stitches trying to complete them on my machine. I look forward to every post and tip you give. I cannot wait to be able to complete the entire process myself!! Yes,please pass it on to others!! It is a gift !!! This is such a nice post. Thanks for sharing it. I had such a wonderful mentor when I earned my doctorate, I really understand this relationship you feel with someone who mentored you. I always tell my current students that my mentor is their "grand-mentor." It is a special bond, and I appreciate it when others share what they've learned through their mentor. I will have to look for Kathy's books. Thanks again. How sad. Thank you for posting about Kathy...I'm sure she would be deeply honored. Thanks for sharing this post. I bought the book from Amazon, looking forward to learn from it. These last few days when practising my stitches, I have actually built up a belief that I will manage to learn this, thanks a lot :o) Looking forward to the next steps! Just reading what you said about Kathy makes me think that she would love to see you share the lessons and ideas she shared with you. I will be looking for Kathy's book now that I know about her. I bawled while reading your story. Thanks so much for sharing. I hope quilting is one gift I can pass to my children. I just did my first practice piece and although I'm terrible at it so far, I LOVE free motion quilting! Thank you so much for sharing your skills with us! That is a beautiful post and a very sad one too. I think maybe it would be nice if you make Kathy a quilt, we could all help you to do a square, maybe honouring the people who inspire us and teach us. Maybe Kathy would feel the love inside it even if she couldn't understand it fully, the heart rarely forgets. Or maybe you could then donate it to a dementia charity or research centre? Christina, you are doing a wonderful thing... so sad for Kathy's family, so I can understand your feeling of responsibility to share what she taught you. I love to Free Mo quilt myself and feel there is always so much more to learn. I'm so glad you shared that. Some people are just meant to help other people grow and become their best. What a blessing for ALL of us that you experienced the great teachings of Kathy. Thanks for sharing your story as well as Kathy's. You are going a good thing in the right way and for the right reason. I think you should expect it all to return to you in very unexpected ways along your jouney. Your entire post was an inspiration....keep it up. Thank you sharing that heartfelt story. I am learning from you and will probably also purchase the book you linked to. We all face difficulties along this road they call life - unfortunately some are worse than others. Keep the positive outlook! And with your sharing of techniques so will Kathy live on in you and others! What a deeply moving story, thank you for sharing it with us! 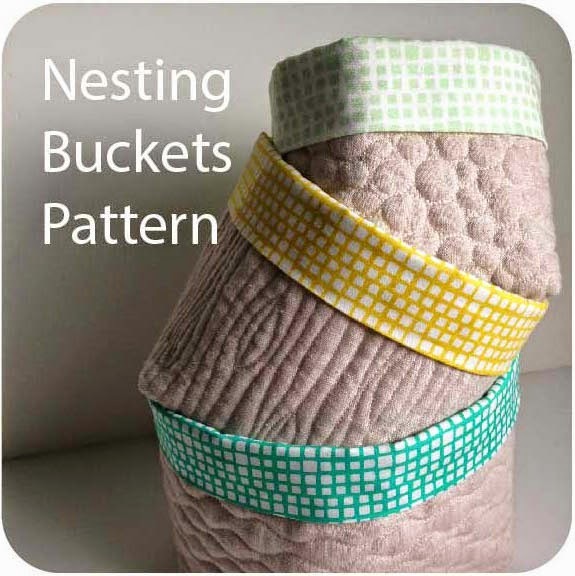 As a self-taught crafter who has neither the time nor the money to invest in "proper" quilting lesons, I just loved your post from Sept 1st and I now have found extra inspiration in this post. So much food for thought! Seize the day, share your blessings and have the boldness of a child, don't be afraid to try, don't think there's only one way to do things right! Gotta repeat these words to myself day in day out! Thank you again! Thank you so much for sharing this story today both for its bitterness and sweetness. Kathy's story could belong to anyone of us in the future. Thanks also for the gentle reminder that time waits for not one of us and who knows what we can do unless we try. I am so glad I am becoming a quilter as it is a great group of which to be a member. People who encourage, teach, and share. What a wonderful legacy! Thanks for sharing. Your story is so touching. I learnt free motion from Kelly of Don't Look Now, last year. She was great, encouraging and made you feel like a master instead of a beginner. People like that leave a mark. what a lovely story ~ sorry to hear about Kathy, she sounds like a remarkable woman. I'm really very grateful to have 'been in the right place at the right time' and to be learning the craft of free motion quilting from you. Thank you for sharing that great quote...and your words inspire me to continue practicing machine quilting on my domestic machine! Thanks for sharing this with us. We certainly hope we can honor her by applying the knowledge you gathered through her and are now passing down to us. Oh my goodness! I am amazed. I had read about Kathy, found the website and saw what her children had written before I joined your quilt along. I was saddened when I read it then. What a strange twist to find that in a way I am a student of Kathy's thru you. 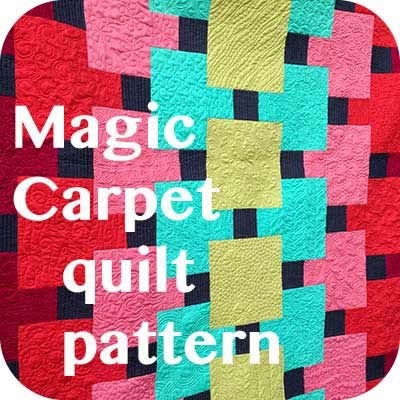 I am now going to order Show Me How to Machine Quilt. Thanks for sharing this, I know it was difficult. Lo siento por Katty. No me imaginé que tu historia terminaría así. Gracias a Katty por dejar en ti una huella tan linda. Thank you for sharing, I'm sure Kathy would approve! That is such sad news. Thank you for letting us know.